This presentation explored the recircuiting of received modes of information transmission. A program-specific work, “Zero for Conduit” responded to the diagrammatic visual prompt provided for the third installment of the Drawing Center Drafts series, “Information Transmission: Bodies of Evidence.” The coordinated set of critical investigations and theatrical procedures considered the space between bodies of knowledge and knowledgeable bodies. A series of three lecture-performances was followed by a “Cue and A” session in which audience members’ bodily gestures were interpreted as cues for the presenters to address. 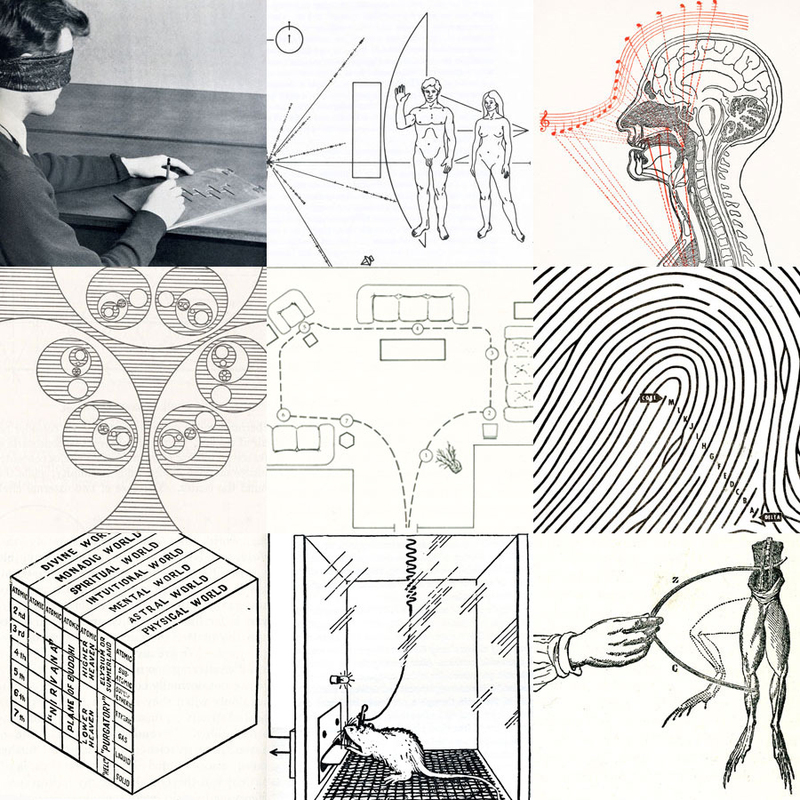 Phase III of Drafts, Information Transmission (Bodies of Evidence), is based on nine images from the Reanimation Library‘s archive selected by artist Nikolaus Gansterer. Expanding upon an image from Phase II of a blindfolded test subject navigating a maze with a stylus, this third set plots apparatus of experimentation against a diagrammatic circuit of inner images, afterimages, phantom pains, and magic cubes. The program included performances by Cally Spooner and Research Service.